This new game at Slots of Vegas lifts you out of your routine existence and into the majestic dwelling place of the mighty Norse gods. The latest slot machine from Real Time Gaming, Asgard features the likes of the awe-inspiring Odin, the intimidating Thor, and, of course, the troublemaking Loki. This All Ways Pays game includes an abundance of striking details including the Thunderbolt Feature, the Goddess Feature, and Loki’s Magic. 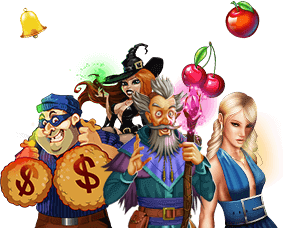 Keep a sharp eye out for Bonuses and Golden Wilds appearing on your screen to make the most of your spins! Don’t waste another moment – take a step forward into the hall of Valhalla now, join the battle heroes of ancient times, and claim your fair share of the glory. Asgard is a 5-reel, All Ways Pay game with 243 combinations, giving you plenty of chances to win with every turn. The coin size is also adjustable, allowing you to customize the bet size to suit your bankroll. Asgard is designed to accommodate both penny slot enthusiasts and those who like to spend a little bit more on each spin of the reels. A 5-reel machine with 243 combinations makes it possible to keep the wagers for the game low, or kick it up a notch or two. Feel free to mix it up! And if you need a break, don’t forget about the convenient Autoplay option. Just choose your bet level, decide on how many spins you want to play, and watch your winnings thunder down like a storm.